In this blog post, I am going to explain about how to send 40000 email/month free using Sendgrid. You will not need to add any credit card details for using this free plan. Is there any daily email sending quota? Actually, with this free plan, you are allowed to add only 2000 subscribers on your list. So this means you can send any no. of emails to these subscribers until you reach your free plan limit. subscribers that you have uploaded to your account. If you want to send the more emails then you need to purchase a premium plan as per your requirement. 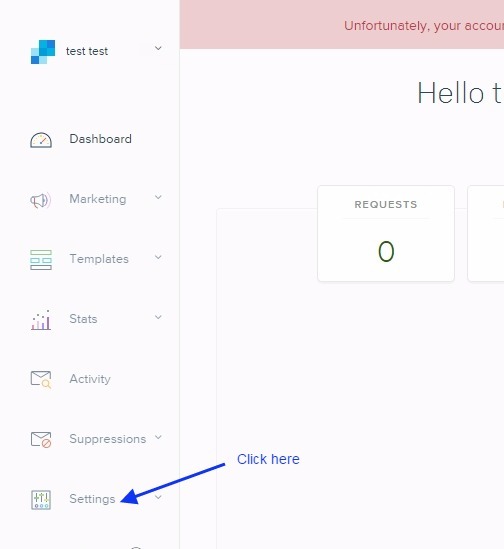 What is the procedure to send the emails through SendGrid? Just follow the given procedure step by step below. 1. Sign up to your Sendgrid account if you have not signed up yet. 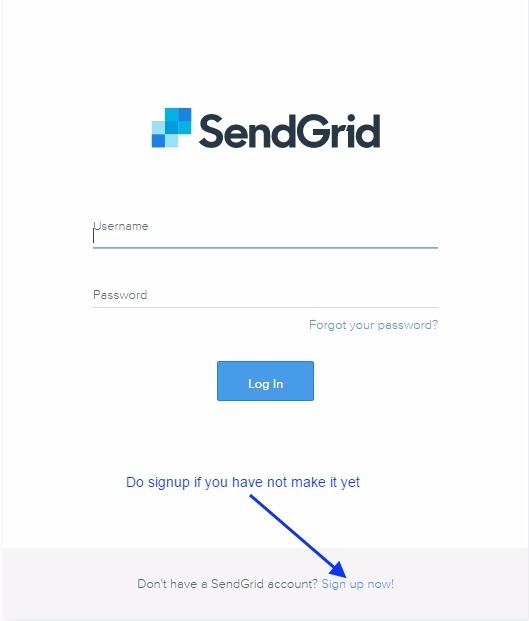 Once you will create your account then you will get a verification link in your account email inbox which you will fill in creating your SendGrid account. 3. verify your domain address. Click in Setting Tab as shown in the below image. After this click on Domain as shown in the below image. After this click on the Add new domain as shown in the below image. Here, you need to insert your domain preceding with the subdomain as shown in the below image. Here one question arises in your mind that what is this white label domain…? This is just a verification steps where SendGrid ensures to the ISP that they(SendGrid SMTP) are sending Emails on behalf of the users. 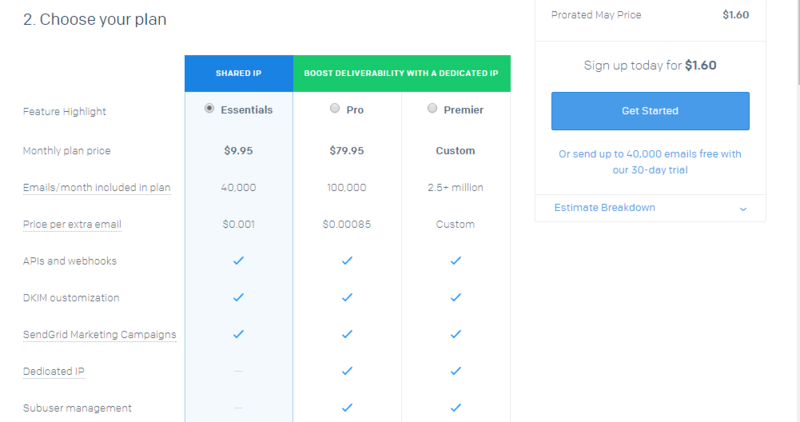 So here you can verify several white label verification like Email, domain, IP, and etc. So don’t confuse with this White label, this is just the verification process which done to make high email delivery rate. For more information, you can go through the below extensive tutorial. What is this White Label all about……..? Once you get this records, you just need to copy this record to your domain hosting site. How to Create & Send Email campaign using SendGrid….? Just Go to the Template tab and then start creating your Email template and send them to your uploaded subscribers. How to get the tracking report like open, Google Analytics and etc? you can this tracking report easily, just Go to Setting>>Tracking, see the below image. 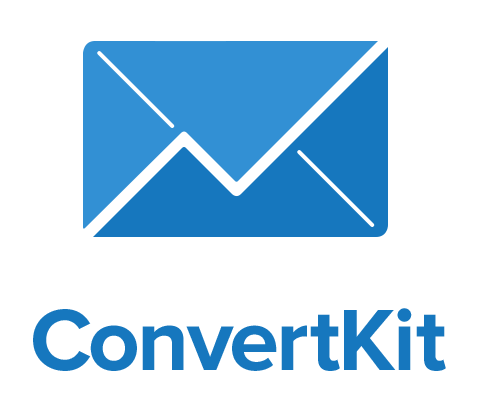 What if you just to use SendGrid SMTP Relay service for sending your email with third party ESP….? 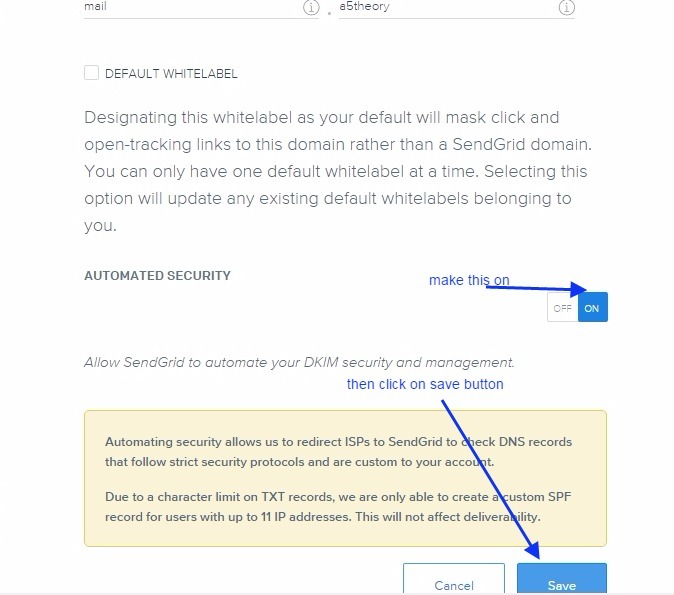 Yes, this is very simple to send the Emails using SendGrid SMTP Relay. Please get the full SMTP relay details below which you can use for sending the emails using the third party. 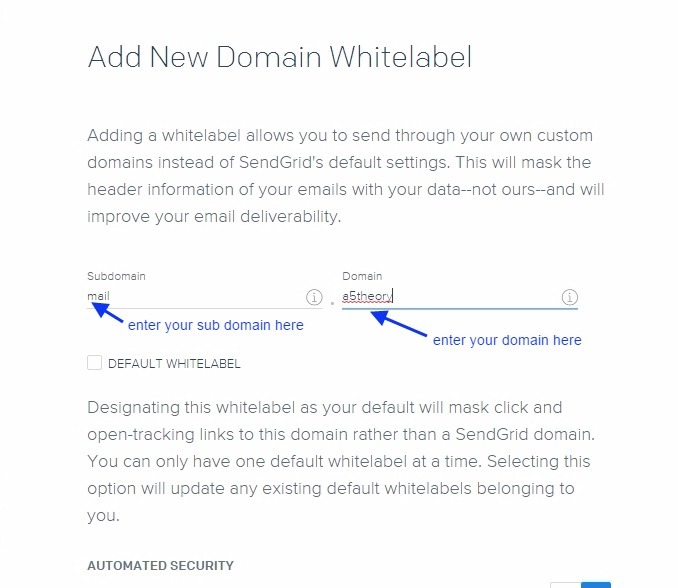 From Email: Enter the emails address which you have used to create the account of SendGrid. 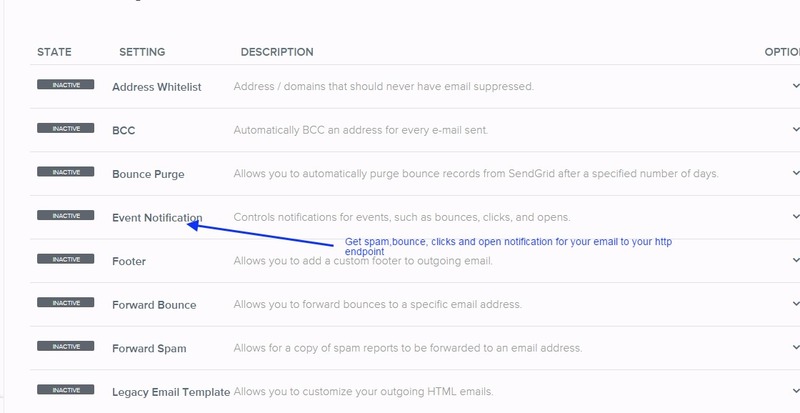 How will I get the spam and bounce notification in my dashboard from SendGrid account…? 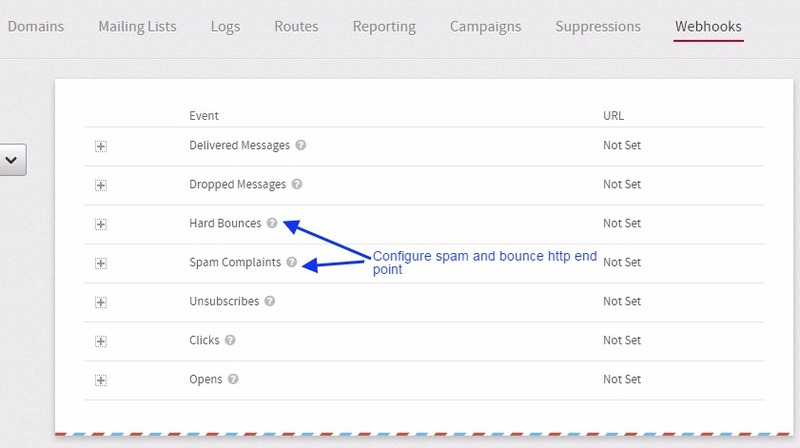 You just Go to Setting>>Mail setting and then you can get spam, bounce and much more stats in your third party ESP dashboard, see the below image. 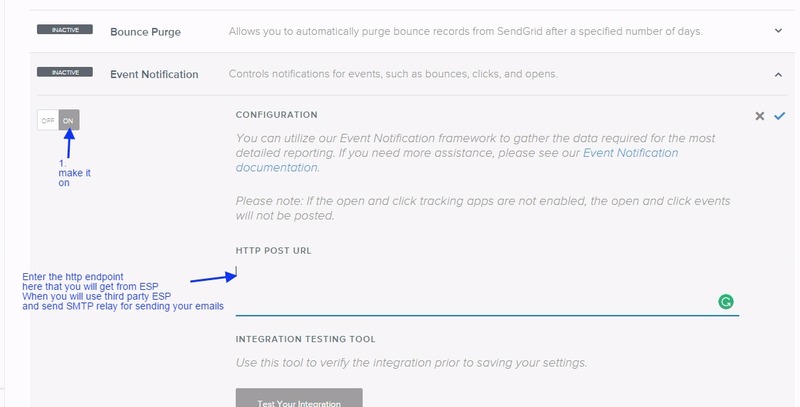 Here make the setting ON which you want to activate, here you activate event notification and then enter the HTTP endpoint URL that you will get from your third party ESP. Here just check the box which and all information you need to show in your Thrid party ESP dashboard. You are done with this setup and now you will start receiving the notification. In this blog post, I am going to let you know how to send 10000 emails/month for free using MailGun. 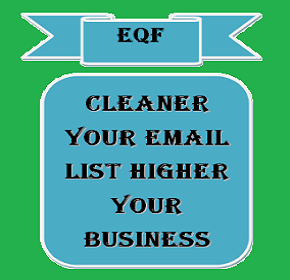 If you are running a small business or company then this ESP could be a great help to promote and grow your business online with the help of Email Marketing. You can see the same price in below image. Is there any daily quota? There can be following case given below. In this case, you will have a limit of 300 emails/day. and if you cross this boundary then your extra emails will not be delivered and will be rejected. In this case, there will not be any daily limit, but once your cross the 10000 free email limit then you will be charge accordingly. There is no sending limit and you can send emails as per your plan including this free plan. What is the procedure for sending emails with MailGun? 1. 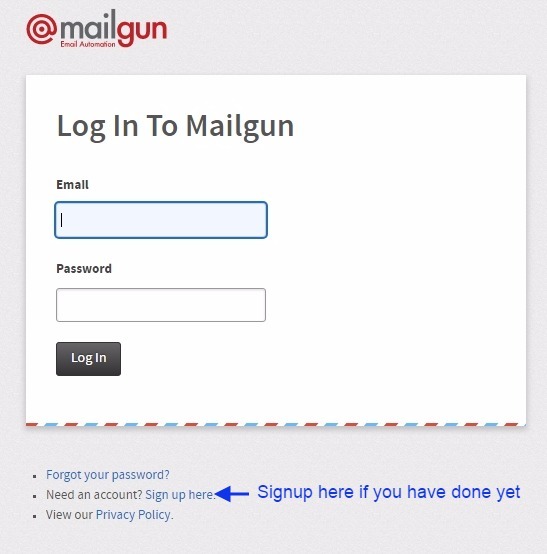 Signup to MailGun account you have not signup yet. You have got all necessary records to add like SPF and DKIM with some additional record like MX. 4. upload your contact list and create your email campaign for sending. This was the procedure when you want to send the emails through MailGun built-in SMTP. What if you want to use the MailGun SMTP relay service for sending the emails with another ESP? How to get SMTP relay parameters? You can follow the below procedure for the same, Go to Domain tab and then select your domain and click on it. Once you will click your domain you will get the credentials for SMTP Relay. You can use these credentials while you send the emails using third party ESP. See the image below. 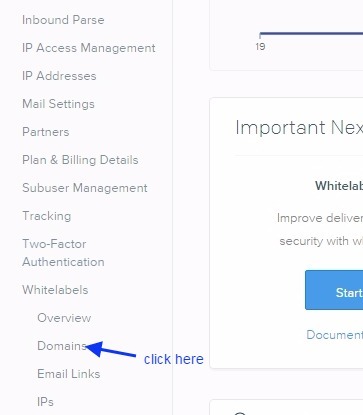 It is a very simple process, just Go to the webhook tab and here you will get the facility to configure your spam and bounce in a case when you send your emails using another ESP. Here you need to insert the HTTP/HTTPS endpoint that you will get from your concerning ESP. 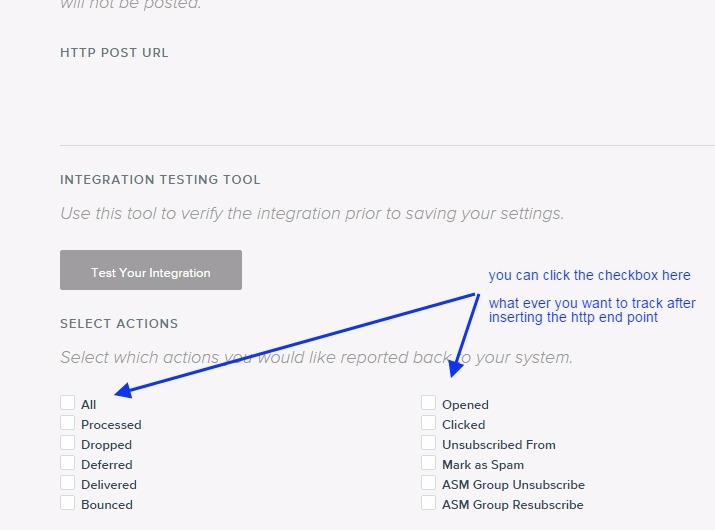 Once you will configure this you will be able to receive your spam and bounce emails to your ESP dashboard. So now you are done with all kind of procedures for sending the emails using Mailgun. In this blog post, I am going to let you know about the Email marketing in depth. Before understanding the email marketing let me tell you brief about the marketing. Let’s take an example, assume you open a shop of flowers in your city, then how would you advertise for your shop? OR, In how many ways can you have an advertisement for your shop? The very first method of advertising your shop is to tell all the peoples you know verbally when they meet face to face. Second, you can make the advertise papers for the same and affix them to the wall in the streets of the city. The third one you can advertise the same in your local news as well as the standard newspaper. These all advertising medium are good you just sell your product within a fixed boundary as in your city. It means you don’t have the facility to ship the product to another city or country. But what when you have the facility to ship your products across the world? In this scenario, you also need to advertise your product across the world so that peoples can know more about your product and discount on them. So, how you actually will do this …? You can take the help of digital marketing. Digital marketing is also a broad area of the advertisement. SO here you can make your advertisement on national TV across the country or the world as most of the channel are broadcasted throughout the world using satellite. You can also make the marketing using social media site, which has an ignite effects nowadays and very effective for advertisement. Another best way is email marketing here first make your customer base then advertise your product. Email marketing is not very costly and can provide you the effective result. Email marketing is simply a promotion of our business where either we provide product or service over the internet with the help of ESP or Email client. This marketing comes under the digital marketing. In this Marketing, you can send your promotional emails to your customers through an ESP or Email client. This type of marketing usually done when you or your business is capable for shipping of the product either physically or digitally over the internet. This marketing increases your customer circumstances and you can cover either whole world. This can also be considered as global marketing. What is the benefit of Email marketing and when does it necessary to have? Email marketing is a very fast medium to reach your customers across the world. It has a great opportunity to convert your customers through email as most the people checks their email daily in comparison with other activity like watching TV and surfing the internet for the same product or service. Now with the growth of technology peoples have been much technical and uses digital gazets most often, and Email inbox has completely replaced the traditional postbox over a period of time. Peoples are much conscious for checking their Mailbox. You can make a lifetime customer relationship through the Email conversation. So these are some benefit of the Email marketing. Top 3 tips for doing the best Email marketing and achieving the maximum Email open rate. Here are the top3 tips for making a successful email campaign. 1. How to choose the best ESP Plan? This is the first step where you need to choose the best ESP plan. But the question is what parameters should be in your mind while choosing the ESP plan? Your plan should be according to the following condition given below. what is your subscribers base, means how many emails you want to send in a month? If you are clear with your subscriber numbers then you can easily concentrate on the specific plans provide by severals ESP and also compare them with ease. One more important thing which you should confirm before purchasing any ESP plan. The plans are provided either subscriber base means how many subscribers you can have on your lists. For example, if you purchase 100 subscribers plan then you can send unlimited emails to these 100 subscribers. So, make it clear whether your plan is subscriber basis or email based. In Email based plan you can have any numbers of subscribers in your lists or account but you cant send unlimited emails to them, your sending emails will be fixed. And also make sure the delete policy, means how many subscribers you can delete from your account in a month. it is also very important to have an ESP according to your budget as most of the ESP are giving best and cheap service at the affordable price in the market. So be specific for your budget, it can also help in cutting the option and then you can easily choose out the remaining option for the best. As this is the very tough task to analyze the reputation of any ESP, however, all are good and try to give the best service and support to their customer. As it can be a case that one ESP became a bad experience for you but is good and fine for others. So it could be also a case that you could not use the service as per the policy and rule and something went wrong with you. So you can not analyze it until you use it, So I will suggest you first do small homework over internet or surfing and read the review of the ESP that you are finding fit for you. 2. How to make the complete setup for sending the emails successfully? Once you are done with the ESP selection then the second most important steps are to make the setup or configuration step by step. Almost all the ESP has a step by step guide for this. So Make sure you have done all the necessary setup for sending the Emails. Please check it out the complete detailed procedure for this setup…. 3. What is the best time for sending your email campaigns? Is this factor really make any change in our Email campaign open rate? Yes, this is a very tricky approach to get the maximum email open rate. This is based on real life survey as most of the peoples even us check the first five or ten emails on a higher priority as they are just front of our eyes when we open our Email inbox. But how to show your Emails in recent top ten emails? For doing this you can make your subscribers list based on the country It is also known as targeted-time Email marketing. And as most of the people open their emails in the morning time or office time so make sure your emails should be sent within these morning hours so that they could on top position. So, try to schedule your email such that they were on top while users open their email either in the morning at home or in the office. In case if you have more emails campaigns then you can also send it at night 8 pm to 10 pm as this can also be considered as the best time as most of the persons catch their mobile and system after a long break just after office time over. For this, you can schedule your email campaigns based on the country time. This will really make a change in your email open rate. Note: This analysis can not be applicable to all the countries or time zones. They could have their own trends for the hours of most email open. But you can find out after an analysis of sending emails to a specific time zone.